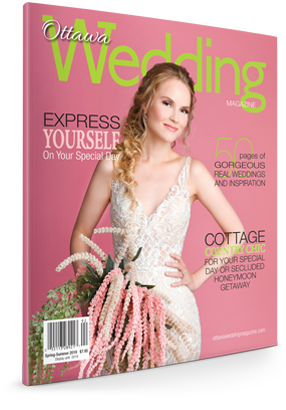 Haven’t found The Dress yet for your 2018 wedding? That’s just fine. 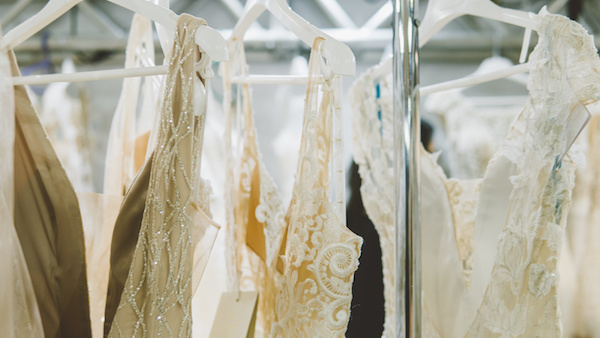 The Bridal Fashion Week shows for spring and fall of ’18 reveal some alluring and exciting shifts from the near-uniformly strapless gowns that have dominated the bridal fashion scene in recent years. Even in 2017, many local brides have donned strapless gowns for their wedding days — and looked lovely. If you’re broad shouldered though or narrow shouldered, or flat chested or ample chested, or slender or voluptuous with chubby arms, finding the right fit can be an issue. Especially if you want to be comfortable. As Goldstein noted in Say Yes to a Different Dress, “I maintain that pulling off a strapless dress is no easy feat. Other common problems that the strapless dress presents? Visible tan lines. Spillover cleavage. Pouches of skin that bunch around the armpits. Stick-figure arms. Uniboobs. Generalized sagginess. And having a good figure alone doesn’t guarantee you’ll look great in a strapless style.” The last thing you want to worry about is your arms being “strapless ready” or your strapless dress slipping — and having to hike it up — mid-ceremony. How awkward would that be? While the lovely princess-style silhouette of a strapless gown will remain a popular choice and a bridal classic, at the Bridal Fall 2018 shows, designers from Reem Acra and Vera Wang to Elie Saab, Carolina Herrera and Marchesa showcased plenty of sleeves, capes, caplets and straps. So for 2018, you’ve got plenty of choices!